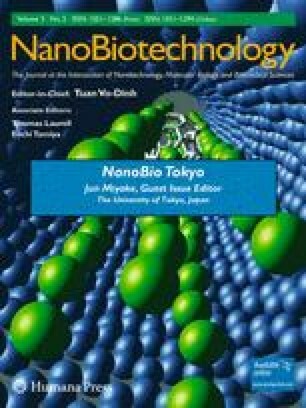 Biocompatible mesoporous silica nanoparticles, containing the fluorescence dye fluorescein isothiocyanate (FITC), provide a promising system to deliver hydrophobic anticancer drugs to cancer cells. In this study, we investigated the mechanism of uptake of fluorescent mesoporous silica nanoparticles (FMSN) by cancer cells. Incubation with FMSN at different temperatures showed that the uptake was higher at 37°C than at 4°C. Metabolic inhibitors impeded uptake of FMSN into cells. The inhibition of FMSN uptake by nocodazole treatment suggests that microtubule functions are required. We also report utilization of mesoporous silica nanoparticles to deliver a hydrophobic anticancer drug paclitaxel to PANC-1 cancer cells and to induce inhibition of proliferation. Mesoporous silica nanoparticles may provide a valuable vehicle to deliver hydrophobic anticancer drugs to human cancer cells. This work is supported by US NIH grants CA32737 (F.T.) and ES015498 (A.N. ), NSF grant DMR0346601 (J.Z.) and a grant from Edna E. and Susan E. Riley foundation. Monty Liong and Michael Kovochich are supported by the UC Lead Campus for Nanotoxicology Training and Research, funded by UC TSR&TP.